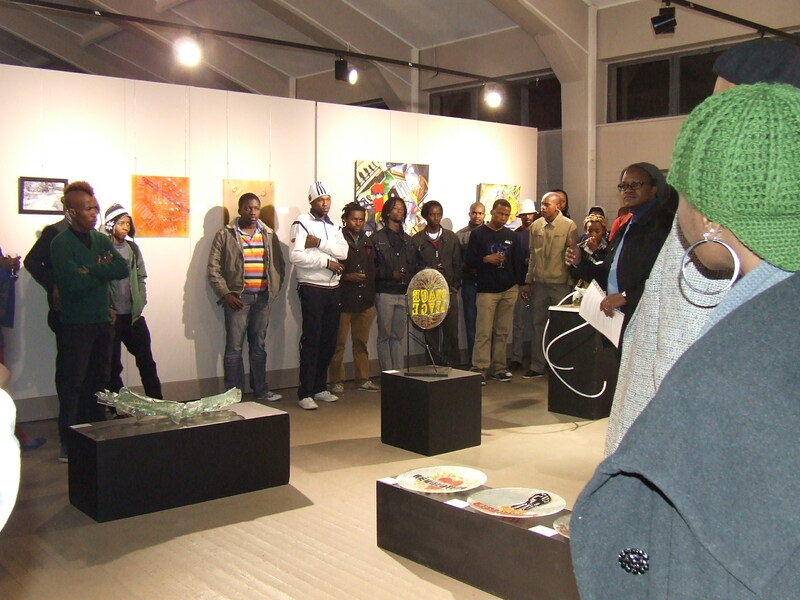 This essay is a reflection of the screening of Pule Diphare’s Sister In Wonderland on the evening of 25 November 2010. It acutely tied in best with South Africa’s 16 Days of Activism for No Violence Against Women and Children campaign which runs from 25 November to 10 December. The first part of this essay introduces the film to the reader by setting the tone for the vital theme at the crux of the artwork. While the second part tries to introduce the subject matter to the reader through a subdued reportage the last section, using dialogue approach, focuses on the questions which were raised during the last part of that evening following the screening. Here the reader must be made aware that while great care has been taken to record every question through short hand a lot of editing went into the writing of this part to re-focus the questions and retain their motive. Even the sharp responses from Diphare as he deflected and dealt with questions were seethed to retain their directness. With that said the reader might find this part far more different (if not put off by it) compared to audio recorded interviews that I have hitherto conducted especially towards the end of 2010. Pule Diphare is an interesting artist living and practicing in Tshwane/Pretoria today in that he still holds to the credo that a work of art does not need the artist to defend it in order for it to stand its ground in the echelons of creativity. It should stand by itself, for itself. Furthermore he professes individuality at an epoch where belonging is the norm.